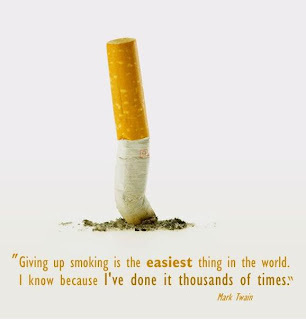 Whoever says that giving up smoking was hard? Well, this image represents my thoughts about it... But what the heck! There's no harm in trying right? Anyways, it's just great that I've discovered e-cigarettes. I'm not sure though if it's really harmless but compared to the regular cigs, I prefer it better... no smoke and ashes, plus I don't smell trash anymore!